Everyone wants to control illegal immigration. The only question is what is the smart way to do it? Putting up a 20-foot fence on our southern and northern borders may appear to be a solution, and undoubtedly it is part of the solution, but every border patrol officer and even the contractors who are building the fence know that motivated foreign workers can find a way to go over, under, around, and even through it. As fast as the fence is being built, holes are being cut into it. The second point is 99.9% of those individuals entering illegally for work, would love to come legally, but there is no viable legal system. The annual quota today is 5,000 for low-skilled workers, including their family members. To legally immigrate takes decades and if all went home to apply, it would take several thousand years under the current quota. One cannot say we want people to come in legally and yet not support legal reform, so that is technically possible. 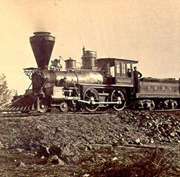 With reference to the statement about building a transcontinental railroad in seven years- remember history will show that the railroad was built primarily by Irish immigrants, and the most difficult part through the Rocky Mountains was built almost entirely by Chinese immigrants. America was built by immigrants, and we are a nation of immigrants. All of us came from somewhere. Nothing has changed except we have gone from no quota to a quota so small that it is impossible for workers to legally immigrate today. We did enact immigration reform in 1986, but we got it wrong when we failed to provide a fool-proof document to determine who is authorized to work in the United States. As a result, for more than two decades, illegal aliens have been able to obtain employment using facially valid Social Security cards. The only real solution is the enactment of comprehensive immigration reform that will address all of these issues, including the requirement that all job applicants present a non forgery-proof document showing their work authorization in the United States and requiring all illegal workers to come forward and be identified, registered, and their criminal records checked. Also, they must pay a significant fine and all back taxes, for which they only get a temporary work authorization. Until we can identify who is authorized to work in America, we will never get control of the current problem.